One can’t deny that the greatest wealth is health and so, leading a healthy lifestyle can give women a lot of benefits you can’t even imagine. For some women, a healthy lifestyle means eating healthy food, and while for others, it means doing workouts or exercise every day or enlightening a positive attitude to overcome all problems. However, when it comes to having a healthy lifestyle, it always aids to have a little bit of motivation. Luckily, there are a lot of health blogs women can follow to have some tips on having a healthy and happy lifestyle. Healthy living is not as easy as seems and it takes a lot of zeal. With health and fitness blogs, you can develop a passion to adopt a healthy lifestyle. Are you struggling to find inspirational health blogs for women? As there are many health blogs out there and when choices are many, anyone can get confused which one to consider. That’s why here we compiled a list of ultimate health-related blogs to rise up the enthusiasm of women to stay fit and healthy. Let’s scroll down to see the best health blogs for women. The voice of this health blog is Kayla Itsines who is one of the recognized influential trainers across the world. Her mission is to aid women to attain their fitness level and to have a happy life. Here, you can find useful tips on how to stay healthy and effective fitness advice. Deliciously Ella is an inspirational blog where you can find the tips on how to fight against problems like chronic illness, digestive issues, and fatigue. The founder of the blog, Ella also shares healthy and delicious recipes you can cook and enjoy at your home. The aim of the blog, Go Kaleo is to share tips on food that is healthy for women. This blog aids women to explore healthy food and how to maintain their health. Girls Gone Strong is the world’s biggest community of empowered women and the blog helps the women’s to achieve personal health and fitness. Visit the blog and get some real healthy advice that can bring a lot of positive change in your life. The creator of the blog, Nicole is co-coordinator of diabetes patients department and also, she is a wife, author, and mother of two girls. This blog is completely based on how you can stay up to date with nutrition. This blog has depicted the successful story of Dorothy Beal, who is mother and marathoner. If you are looking for a blog based on marathon plans and running, then it is an ideal one for you. Lauren Fleshman has been a runner and her motto is to inspire every woman outside they can achieve whatever they want to. All you have to do is keep fighting, learning and adapting. RunToTheFinish by Amanda Brooks is all about running and it is running community that shares tips on health and fitness. It is the blog meant for women who want blogs related to running, such as how to get rid of common running injuries, etc. Love to cook different dishes? 101 CookBooks blog is exclusively made for you. Here, you can explore healthy recipes and how to present a meal that attracts others. Do you know how you can make your life better? This blog comes up with some incredible things related to health and fitness to get rid of stress. The creator of the blog, Nia Shanks created this amazing health blog based on empowerment, especially on how to eat and move your body. The voice behind the blog, Live Life Active is Erin Weiss who is sports minded, personal trainer and food loving kind of person. This blog gives inspiration to women for living an active and healthy life. The blog “Daily Cup of Yoga” is all about yoga. 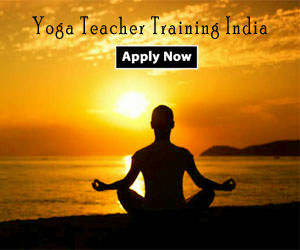 It is meant for those women who want to explore the yoga world and yoga lifestyle. Here, you can find superb tips on yoga postures and how to stay away from various illnesses. Purely twin’s blog is created by two soul sisters Michele and Lori to empower balanced and passionate lifestyle that f robust you. The purpose of this blog is to create nourishment and positivity inside your body. The mission of this blog is to empower the women and all about practicing authenticity and to take stand and ownership as well. Here, you can find things about lifestyle guidance, fitness, and feminism. Greatist is one of the best fitness blogs for those women who love to read on health care. This blog is well known for healthy and affordable meal ideas. It will aid you to explore what is good for you. As name recommends, this blog is basically about to quit and give up sugar. We know give up to sugar is quite difficult in your daily diets, but this blog can help you to reduce the use of sugar for healthy lifestyle. Jessica sepal is a writer of this blog who is a nutritionist and has a strong relationship with food to treat her body well. She created a platform to share advises on a healthy and lively lifestyle. Sporteluxe is an interesting blog and a combination of expert opinions and useful tips. This blog also come up with the latest news related to the categories of health and fitness. In short, it is a lifestyle, fashion, and fitness based blog. On the blog “Fitness on Toast”, you can explore quality content on workouts, nutrition, health, travel, and beauty. This blog is meant for fitness freak kind of women and those who want to have a fashionable yet healthy lifestyle. If you are looking the blog focuses on the relationships, health, and fitness, then The Skinny Confidential by Lauryn Evarts is one you want. It is such an inspiration blog for women and also, it is a little bit of everything. The blog, Fit Bottomed Girls is one of the wonderful healthy blogs which inspires a lot of women around the world to have healthy eating. Here, there are many things you can explore, and this blog is worth to visit if you truly want to stay healthy. The founder of the Blive blog is Belinda Norton Smith who is working as a primary teacher. And, she started this blog to share tips on fitness, health fashion, and lifestyle. Thus, it is a great place for women where everything is present in one place. Facing overweight problems? Tired many things to get rid of it, but failed in every try? Don’t be panic as Nerd Fitness can help you a lot as it covers the main aspects of a workout without a gym, how to cook and intake healthy meals and food. The blog “butterbeliever” by Emily is to inspire women to eat healthy food and doing things that keep them to stay fit. Here, you will get to know what kind of food is right for women to eat. Ashley hicks and Toni Carey founded this blog to share training and nutrition information, and it also contains health, beauty and lifestyle tips. Toni Carey is a freelancer and writer for world runner’s publications. Her blog can be life-changer for you and so, join BGR community. It is a commentary blog which provides the latest updates on yoga and the best place for yogi’s to converse related things about yoga. This blog will take you into the yoga world and it is the right place for women who want to adopt yoga lifestyle in order to stay healthy. The blog by Jessi Kneeland is all about how to look amazing and make you feel confident. The aim of the blog is to inspire women’s and provide them great inspiration to empower them. It is a place stops you to count calories, and help you to embrace and get your body in shape. The creator of this blog, Charlotte Andersen started this blog to share her experience and knowledge on fitness. She likes to research on health and fitness blog and after that like to apply them on her. The blog by Carla Birnberg is all about fitness and healthy life. Here, you can find interesting things to read in your spare time. Visit the blog and get to know what things can change your life in a positive way. Fitnessista is a health blog for women created by Gina. She loves to share effective workouts, daily happenings, and healthy recipes. She worked at various world-renowned fitness training studios and club for personal training and instructions. Speaking of Women’s Health blog is educating women to make a wise decision when it comes to health. This blog is all about well being, health and personal safety of women. The aim of the blog to provide incredible information to the women’s in a fun and entertaining way. Wellness Mama is a blog created by Katie to help families to live happily and naturally. The blog contains information related to real food recipes, cookbooks and healthy recipes you should eat. It is a great online resource for moms and women who are looking for tips on a healthier life. Our Bodies Ourselves blog share information on health, and women rights. It is the place where women can find some inspiration to have a healthy and better life. Mainly, this blog is all about women and their bodies. The blog International Women’s Health Coalition is a voice for girls and women’s human rights. IWHC advances reproductive and sexual health and the rights of young people and women, especially adolescent girls. The Nourished Life is a most common and familiar blog created by Elizabeth Walling. She started this blog in 2009 for the women who love to read and interested to improve their well being & health in a natural way. A healthy lifestyle not only changes your body, but it also changes your mind, attitude, and mood. The motto of all these blogs is to help women to lead a happy life and giving them inspiration to eat healthy and doing what makes them healthier.